So here they are electronically. Here’s a great interview with Jonathan Eisen and Nick Shockey on open access publishing, nicely animated by Jorge Cham, who does the Piled Higher and Deeper comic. …it is simply unacceptable for any scientist who decries Elsevier’s actions and believes that the subscription based model is no longer serving science to send a single additional paper to journals that do not provide full OA [open access] to every paper they publish. But how can I do that if Genetics isn’t fully open? Genetics charges an extra $1200 to make an article open access. Would it really cost $1200 per article to make the journal fully open? I expect you’ve already heard about the Elsevier boycott, started based on comments from Timothy Gowers. While he focused on his own discipline (mathematics), the boycott site now has people broken down by subject. On 1 Feb, there were 2700+ signatories, including 600+ mathematicians (but only 15 statisticians). There have been a couple of articles about this in the Chronicle of Higher Education: here and here. Most important to me is that the journals are expensive and publishing companies are reaping an enormous profit. 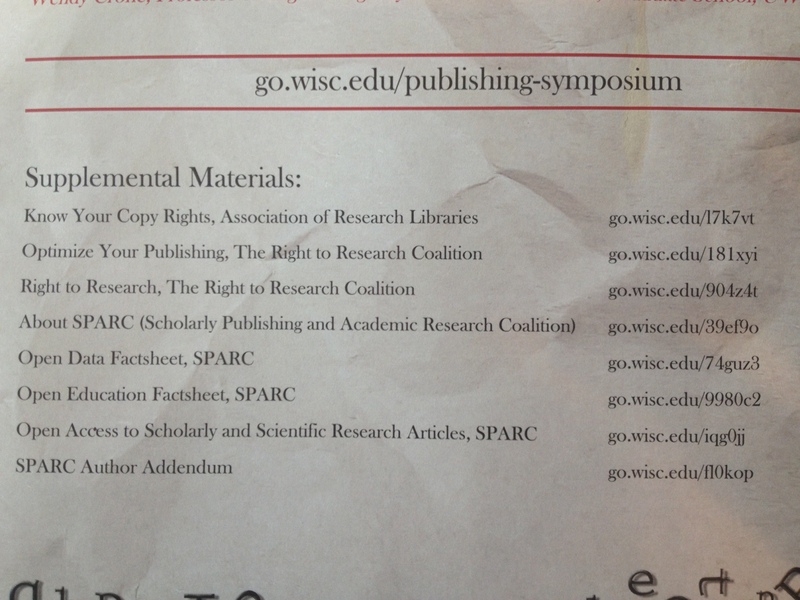 The former head of the library at UW-Madison mentioned recently that they spend $4 million per year on electronic resources (books and journals), and that they are “struggling to pay that Elsevier bill”. I prefer society-related journals. These days, my own papers all go to my favorite journal, Genetics, which is associated with the Genetics Society of America.